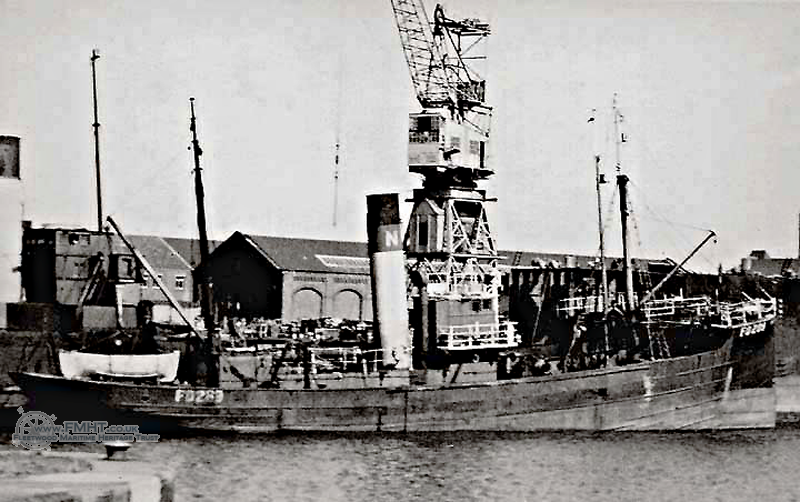 1916 Completed by Gebrs Boot Schps “de Hoop”, Leiderdorp (Yd.No.999) for De Witte Ster, IJmuiden as BALTIC. Registered at IJmuiden (IJM255). 1920: Sold to Société Anonyme Pêcheries à Vapeur “Zeester”, Ostend. IJmuiden registry closed. Registered at Ostend as FERNANDE (O214). 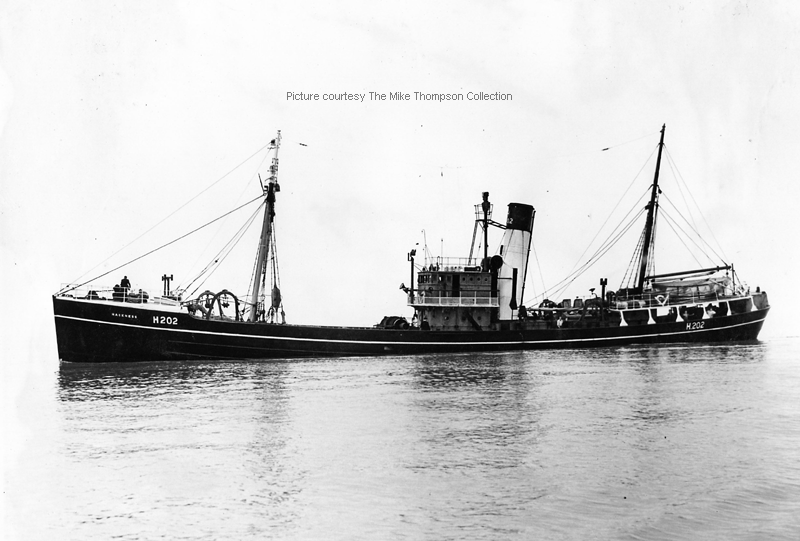 1925: Sold to Union des Pêcheries Maritimes S.A., Fécamp (Roger Peltier, manager). Ostend registry closed. Registered at Fécamp (F??). 1928: Sold to Limburgia-Visscherij Maatschappy, IJmuiden. Ostend registry closed. Registered at IJmuiden as LIMBURGIA (IJM54). 1929: Sold to S. Allerton, R. Read & Fred Spashett, Lowestoft. 1929: Re measured 100.4 x 20.5 x9.8 feet – 139g 68n. 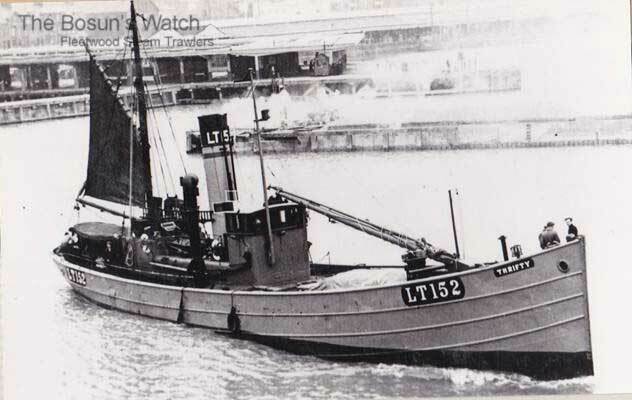 27.2.1930: Registered at Lowestoft as THRIFTY (LT152). 1930s: Seasonal fishing from Padstow, Milford and Fleetwood (Alex Keay managing agent). 8.6.1930: On fishing grounds disabled with propeller fouled by fishing gear. 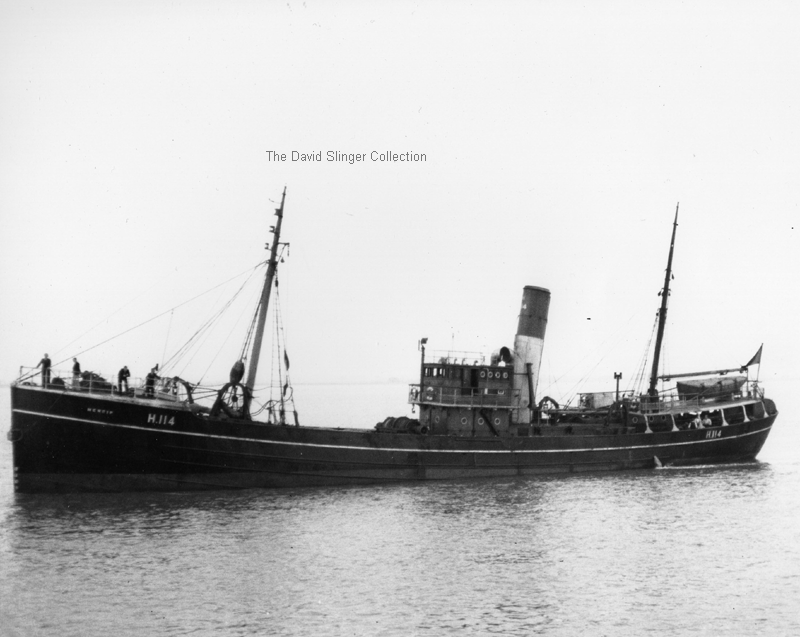 Picked up by steam trawler DIANA (LO31) and delivered Douglas, IoM. 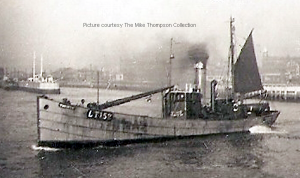 18.9.1933: At Fleetwood landed a 4 stone sturgeon in excellent condition, bought by Messrs Topham & Chadwick. Offered to the King and sent by rail to London for delivery to Buckingham Palace. 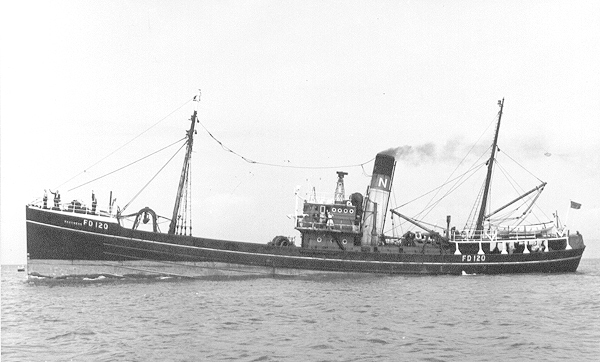 13.1.1934: Suffered broken propeller off Fleetwood. 16.7.1935: Disabled. 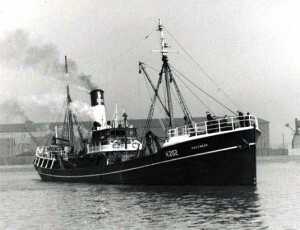 Drifter/trawler AMALIA (LT241) connected and delivered Fleetwood. 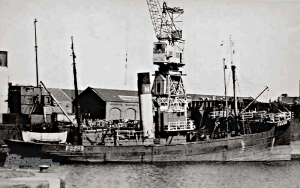 18.12.1936: At Ramsgate with damaged propeller shaft. 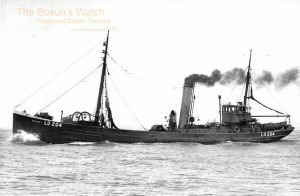 11.4.1937: Suffered machinery damage in Morecambe Bay. Engineer awarded £3gns and fireman, £2gns for bringing vessel into port without assistance. 12.1939: Requisitioned for war service as a minesweeping drifter (P.No.FY.1523) (Hire rate £33.10.0d/month). 6.1941: Based Portland (Ty/Sk. G. Corney RNR). 3.1944: Employed on miscellaneous Naval duties. 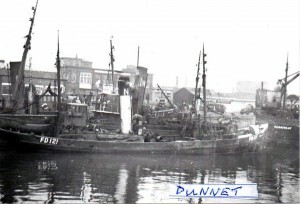 1.1944: Sold to Small & Co Ltd, Lowestoft. 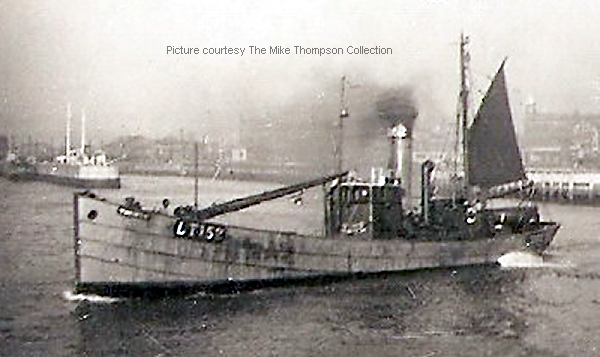 10.4.1946: Sold to Kittiwake Ltd, Lowestoft (R.H. Self, manager). 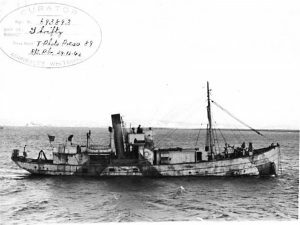 22.11.1948: Damaged in collision with drifter/trawler STERNUS (LT238). 23.11.1948: Struck sunken block ship at West Entrance to Dover Harbour. Towed off by local motor boat with Dover lifeboat SOUTHERN AFRICA standing by. 28.11.1949: Disabled. Drifter/trawler TRIER (LT158) connected and delivered Lowestoft. 1960: Sold to Alvis Trawlers Ltd, Fleetwood. Lowestoft registry closed. Registered at Fleetwood (FD201). 1966: Laid up at Ramsey, IoM. 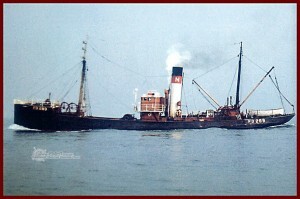 3.1967: Company and vessel sold to Sk. Bert Andrews and Catherine Andrews, Fleetwood (with White Fish Authority loan). 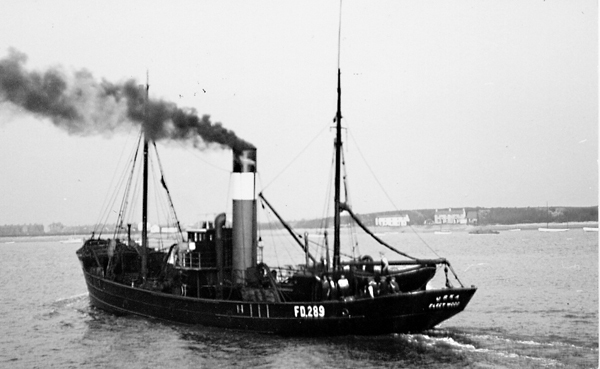 Registered at Fleetwood as CATHERINE SHAUN (FD201) after extensive refurbishment. First trip lasted 44 days with constant breakdowns and bad weather. 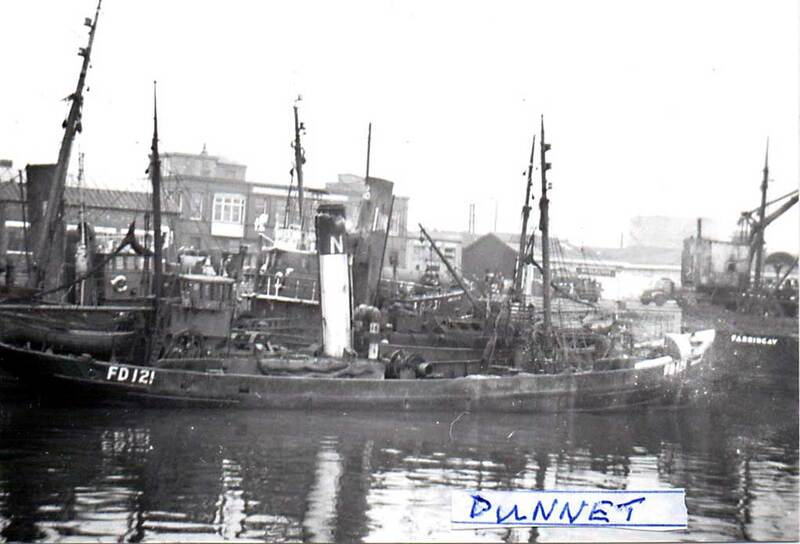 Early 1968: Transferred to fish out of Lowestoft. 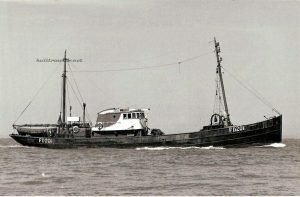 Involved in a collision with Lowestoft motor trawler SUTTON QUEEN (LT302). 1968: Surrendered to White Fish Authority and offered for sale. 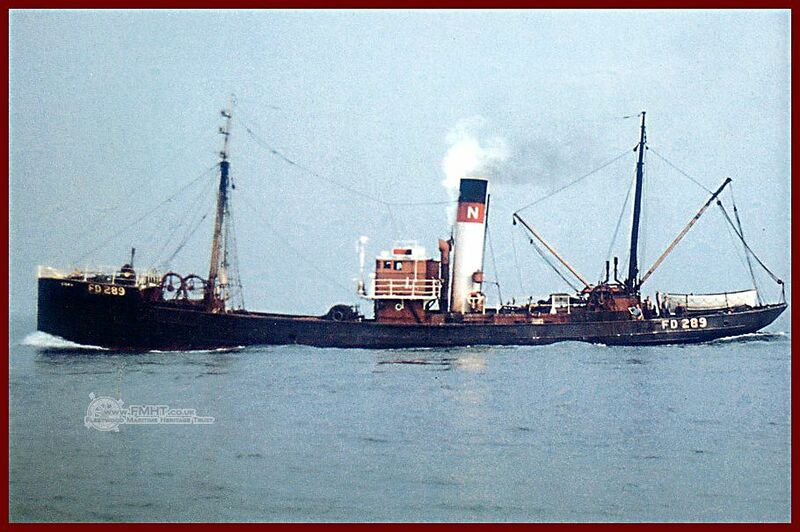 1969: Sold to W. H. Kerr Ltd, Milford Haven. 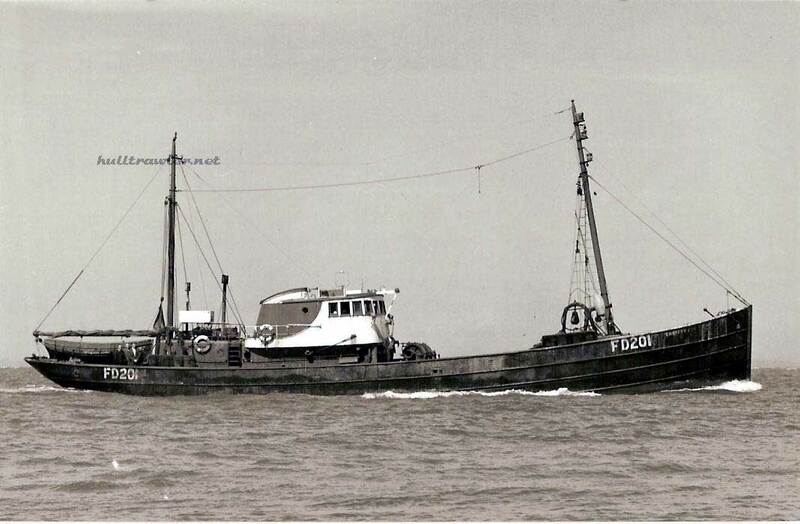 5.5.1969: Sailed Fleetwood for Castle Pill, Milford Haven in tow of motor trawler DAWN WATERS (LT90). 6.5.1969: Arrived Milford from Fleetwood. Engine removed and vessel stripped of usable parts. 1970: Sold to Thos. W. Ward Ltd, Sheffield for breaking up at Castle Pill, Milford Haven. Fleetwood registry closed. 13/07/2017: Removed FMHT watermarks and updated text. 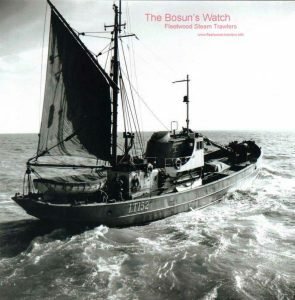 This entry was posted in Steam Trawlers, Steamers (Picture) and tagged Alvis Trawlers Ltd on January 22, 2009 by Fred Smith.